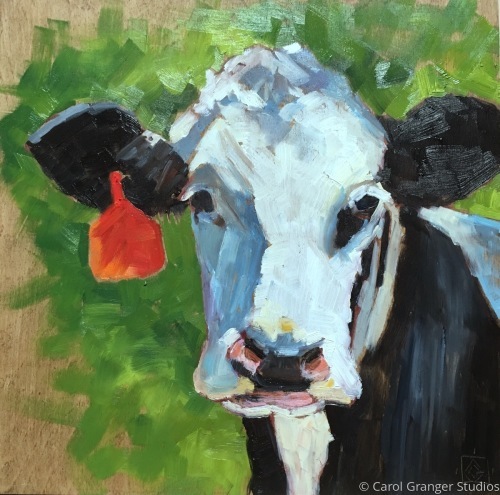 This painting of a dairy cow brought to mind the vanity of the female when it comes to jewelry. The cow seems to be showing off her favorite earring, and is proud to let me know of her presence. Painted on a wood panel that lets some of the wood grain show through. It measures 8" x 8" and is framed in a beautiful black floater frame.